Getting organized in all areas is always a goal of mine. I would like to have every facet of my life in a complete organized manner and I am slowly chipping away at it.I am also trying to eat healthier, cook at home more and really be very aware of what I am putting in my mouth (more about that later). I love trying new recipes and I have discovered a really fun website, app, etc. to keep them all in one place. Ziplist is my new fascination of late. Ziplist is fun because a lot of my favorite foodie websites like Skinnytaste and Lalaloosh have partnered with them to add them to their websites. 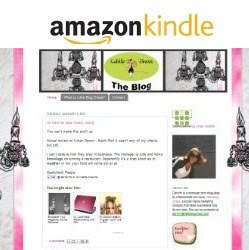 The idea is with one click you can add the recipes you like to your list and if you want to get crazy make a shopping list with the ingredients you choose. You can search and save from over 100 websites that are partners and once you get your list going you can plan out your week, and sort by ingredient (like you are craving chickens) The list of partners are some of my favorites. 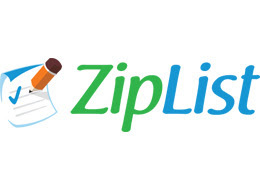 Another good feature of Ziplist is that it has a mobile app so you can take your list with you to the supermarket. Check it out here and please let me know what you think. Sidenote-Why don't you take the partner list and put all those yummy blogs into your Google reader?? I am going to do that right now!! YAY!